For baseball fans, there are many other activities in which they can partake that provide them with fun related to their favorite sport. Online casinos provide many different slot machines that use baseball themes in their design. These are a great way for baseball fans to have a little fun and hopefully win some money. One such slot machine game that many fans like to play is a game known as Hot Shot. You can get this gaming experience and Play the best online casino games in Australia at LuckyNuggetCasino.com/au/. When playing the Hot Shot game, players can expect to find nine different pay lines which they may choose to place a bet on prior to each spin. Unlike some other slot machine games, Hot Shot doesn’t include some of the bonus features that trigger a special bonus game or free spins. Rather with Hot Shot the big wins result from the scatter symbols which can appear frequently at times. This special symbol is the trophy symbol. In order for the symbol to generate winnings, it must appear in a group of at least three. Depending upon the total number of scatter symbols, a special multiplier value is assigned that determines the pay-out. For example, three scatter symbols result in a multiplier of 10x. If the number is increased to four, then the multiplier is 50x. The largest number of scatter symbols would be a group of 5 which results in the original wager being multiplied 100x! With the scatter symbols, the total winnings will also hinge upon the amount of the original bet. This slot machine does allow a variety of coins to be used. The smallest coin denomination is .25 and the largest is $2. Some players wish the smaller denomination could be further decreased. Many wish it could be lowered all the way to a penny. However, despite this higher coin amount, Hot Shot continues to be a sought after slot machine game on the internet. This past July was a month to remember for the Tampa Bay Rays. They posted a franchise-best 21-5 record in the month, hitting for a 115 wRC+ (Weighted Runs Created Plus) as a team (3rd in MLB) and combined for seven complete games from four different starters in the rotation. The Rays’ hot stretch has not only put them into playoff position, but it gives them the second-best record in the AL (best before last night’s loss) entering August. Let’s take a look at how each player contributed to the Rays’ remarkable July run. James Loney continues to give the Rays consistent production at first base. He posted an impressive .325/.356/.422 slash line in July while playing terrific defense at first. Zobrist had a huge month offensively in June and didn’t dissappoint in July either. He put up a very strong 119 wRC+ (which equals Loney’s mark) and—like the rest of the team in the past month—was rock solid defensively. Rodriguez enjoyed what was the best statistical month of his career in July, batting .326/.383/.419 over 49 plate appearances. 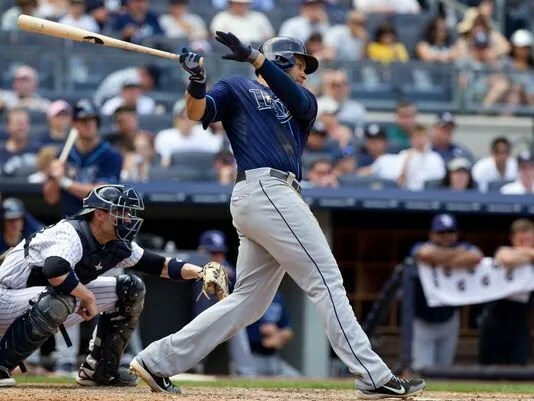 The strong numbers from S-Rod are likely nothing more than a fluke (his .467 BABIP is a key indicator), but hopefully it’s a sign of things to come for the Rays’ utility man. Yunel Escobar has been such a valuable player for the Rays all season, but he has really broken out offensively in the last month. Escobar’s .351 wOBA (Weighted On-Base Average) in July is second best amongst all AL shortstops. When it comes to defense I think it’s pretty clear how great Escobar has been this month, as well as all year long. It’s amazing that Tampa Bay managed to go 21-5 in July with their best player slumping the way he was. Longoria hit .194 with just 11 RBI, but the Rays were still somehow able to score plenty of runs. I do, however, think Longo earns a D+ here because of his usual Gold Glove caliber defense at the hot corner. After an ice cold June, Johnson responded in a big way in July. He had just 57 PA’s, but really made the most out of them, posting a 172 wRC+. I was a pretty unproductive month in what has been a rather unproductive season (-0.3 WAR) for Sam Fuld. He had 30 PA’s in July and hit .250. The game-saving play he made last week in Fenway Park was a memorable one, though. Desmond Jennings’ production at the top of the Rays’ lineup was a huge part of the team’s July success. He hit for a 117 wRC+ and went 7 for 8 in stolen base attempts. Wil Myers’ June call-up to the big leagues is really what triggered this great run for the Rays. He leads the league in batting average post All-Star break (.447) and enjoyed an outstanding July, putting up a 166 wRC+ and knocking in 18 runs. Things have gone downhill for Matt Joyce in the second half of the season. His numbers for July aren’t pretty; a .222/.344/.241 line without a single home run and just two RBI. Luke Scott’s red-hot bat really carried the Rays earlier in the month and won them a handful of games. Scott posted a 160 wRC+ in July with nine extra-base hits (four home runs). David Price came off the DL July 2nd looking to return to his 2012 Cy Young form. He appears to be even better now, as he was nothing short of incredible in July. In six starts, he tossed three complete games and five quality starts to go along with a 1.68 ERA, a .199 opponents’ average and an unrealistic 35.00 K/BB rate. In his five July starts, Hellickson went 3-1 with a 3.49 ERA and delivered three quality starts. He appeared to lack command in his last three outings, though, combining for seven walks. Along with teammate Wil Myers, Chris Archer is making a great case for American League Rookie of the Year. He won all five of his starts in July, pitching two complete-game shutouts (the first two CG’s of his career) and posting a minuscule 0.73 ERA. With his job in jeopardy—and likely still in jeopardy—from Alex Cobb’s return, Hernandez put together a solid performance in July. He posted a 3.94 ERA in five starts, which included a complete-game win Tuesday night. Ten scoreless innings for his month of July—can’t ask for much more than that. Torres ERA drops to 0.27 as his innings pitched total reaches 33.0. Ramos pitched just seven innings in July and allowed five earned runs. He only made one appearance that wasn’t low leverage and actually picked up a win in extra innings. The end of Kyle Farnsworth’s 15-season MLB career appears to be very near. Farnsworth pitched only 5.2 innings in July and gave up four earned runs. Wright is another low-leverage reliever in this Rays bullpen who struggled in July. He allowed five runs in just 7.1 IP. McGee surrendered three earned runs in 8.2 IP last month. He did post an impressive strikeout-to-walk ratio of 12-2, though. Outside of one lead-blowing three-run homer given up in Houston early in the month, Peralta hasn’t allowed a single run. He also picked up seven holds in July. Things have really come together for Rodney since June. Tampa Bay’s closer was nine-for-nine in save opportunities in July and let up just two runs. Things have really come together for the surging Tampa Bay Rays in the past month. With yesterday’s big win in Boston, they’ve won six straight games and a franchise-record 21 of their last 25. Let’s take a look at how the Rays came from being last place in the AL East to just a half game out of first place and having the third best record in baseball. 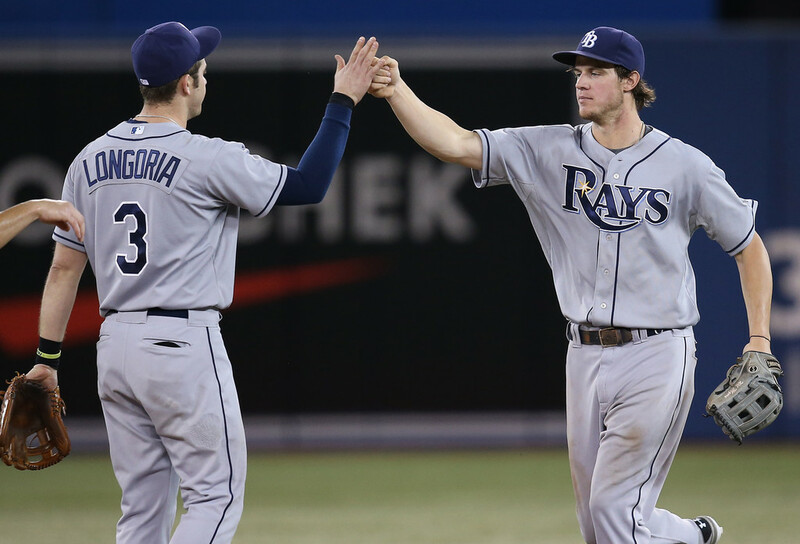 Great starting pitching has propelled the Rays into the great position they’re in right now. Despite Alex Cobb’s absence, David Price’s return to ace form, Chris Archer’s impressive pitching and turnarounds from Matt Moore and Jeremy Hellickson have the Tampa Bay’s rotation looking like its 2012 self. Rays starting pitching has delivered a remarkable 17 quality starts in its last 19 games. Price has been terrific since his return from the disabled list, tossing two complete games while posting a stellar 1.97 ERA and allowing just one walk in four starts (32.0 IP). Moore is 6-0 with a 1.50 ERA in his last six starts and Archer is enjoying a very strong rookie year, posting a 5-2 record with a 2.14 ERA in his last nine outings. It hasn’t just been the starting pitching that has improved in the Rays’ winning stretch. The bullpen, which was the team’s weak spot earlier this season, has been solid as of late, blowing just one lead during the stretch. When you have consistent production from your offense to go along with excellent pitching you’re going to win a lot of games. The Rays have done exactly that, putting up an impressive .282/.351/.436 slash line with a 120 wRC+ (Weighted Runs Created Plus) in July as a team. Over half of the lineup has produced well offensively during the stretch, but nobody’s been as hot as Desmond Jennings (.378 wOBA in last 30 days) and Luke Scott (.448 wOBA). The Rays’ offense, which is tied second in all of baseball by wRC+ (112) has been outstanding all season, so we can expect to see this success from the lineup continue as the season progresses. If Jennings can continue to do such a great job of getting on base at the top of the lineup, this offense could soon emerge as baseball’s best. The Rays’ defense this year has probably been the best in team history, which is a big deal considering that it’s a franchise that prides itself on solid defense. Tampa Bay is second in the American League in UZR (26.9) and second in the MLB in fielding percentage (.990). During the 25-game stretch, the Rays have committed just five errors. They have possibly the best fielding infield in baseball, as well as some great range in the outfield with Desmond Jennings and Sam Fuld. The Rays are fielding to their potential, and now that they’re pitching like they can it’s clear that they’ve really hit their stride here in July. Just two weeks away from the trade deadline, the Tampa Bay Rays have clearly emerged as contenders in the AL East, standing atop the Wild Card race and just 2.5 games out of first place in the division. Like usual, GM Andrew Friedman and the Rays probably won’t make much noise at the deadline, but it is likely that we see at least one minor trade later this month. Here’s my ranking for the organization’s top four best bargaining chips. Ryan Roberts is one of the most likely trade candidates for the Rays at the deadline. With the team healthy and the offense functioning well, Tampa Bay simply does not have a spot for him on the roster, which is why he’s currently playing in Triple-A. If the Rays do try to make a move at the deadline, expect to see them shopping Roberts. One of the Rays’ top pitching prospects, Enny Romero was just selected to his second consecutive All-Star Futures Game earlier this week. The 22-year-old left-hander has exciting potential and has looked good this year with Class AA Montgomery. With the emergence of Chris Archer, Alex Torres, Alex Colome and Jake Odorizzi, could Romero be a possible trade candidate? I don’t expect to see Friedman even attempt to trade him, but if he does decide to dig deep for prospects, this may be a good time to deal Romero with his stock pretty high. Could Kelly Johnson be a potential trade target for clubs seeking a bat and some depth? The 31-year-old is enjoying a strong comeback year in Tampa Bay, posting a .762 OPS with a 113 wRC+ (weighted runs created plus) and a 1.8 WAR. Since his contract is expiring at the end of the year, Andrew Friedman may listen to some offers for Johnson but I doubt he’ll pull the trigger. He’s a key part of a team that plans on competing in October, so I don’t think it would be the right choice to deal an important piece like Johnson. Roberto Hernandez’s numbers this season in the back end of the Rays’ rotation aren’t too pretty: 5-10 with a 4.90 ERA and a 4.58 FIP. However, Hernandez has shown some flashes of his All-Star Fausto Carmona days, posting a career-high 3.36 K/BB rate. With rookie Chris Archer appearing to be more than capable of pitching in the Rays’ rotation and Alex Cobb returning soon, the Rays may look into trading Hernandez, who will be a free agent after this season. If the Rays decide to hang on to him, he might find himself with a role in the bullpen. The second half of the 2013 regular season is underway. Five and a half games out of first place in the AL East and three games behind in the Wild Card race, the Tampa Bay Rays have plenty of work to do these next three months. Without further delay, take a look at my five bold predictions for the second half of the season. After posting historically good numbers in 2012, the Rays’ pitching staff was surprisingly mediocre in the first half of the season. Reigning Cy Young award-winner David Price, Jeremy Hellickson, Roberto Hernandez and most of the bullpen struggled in the first half. However, things appear to be turning in the right direction going into the second half. Jeremy Hellickson has been sharp in his last three starts, Matt Moore looks to have returned to his early-season form and the bullpen has been excellent as of late. Also, David Price is returning to the rotation tonight and Alex Cobb—who led the rotation earlier this season—should return after the All-Star break. It’s been a roller coaster ride of a season for Matt Moore so far. The phenom southpaw was outstanding in April and May, but had three straight bad starts in June before returning to form in his last three starts. Moore’s fastball velocity has been down all year, but he’s done great work with his offspeed stuff and is still unhittable when he commands his pitches. He really looks poised for a huge second half. As usual, I don’t expect GM Andrew Friedman and the Rays to make a lot of noise at the trade deadline later this month, but I do expect to see one small trade. Ryan Roberts is definitely a possibility. With Wil Myers now in the majors, the Rays don’t really have a spot for Roberts on the roster, especially with the offense performing so well. I wouldn’t be surprised to see him dealt for some relief pitching help. Roberto Hernandez is another potential candidate. He’ll be a free agent at the end of the year, and there are a few teams in the league that could really use his services. With Chris Archer, Alex Colome, Alex Torres and Jake Odorizzi, the Rays could certainly afford to trade Hernandez. With just 14 games played, it may be a little early for the “Wil Myers for Rookie of the Year” talks, but it’s something to keep an eye on in the second half. Myers’ transition into the big leagues has been a pretty smooth one, as he’s swung the bat well posting a .345 wOBA. As of right now he’s not one of the top candidates, but I think he’ll prove in the following months why he was considered the top hitting prospect in baseball. Can the Rays return to the postseason in 2013? It won’t be easy with Red Sox, Orioles and Yankees in the same division, as well as the Athletics or Rangers as likely serious contenders for a Wild Card spot. If the “Tampa Bay Rays pitching” returns—which I think it will—and the offensive remains productive, I believe this team will be playing in October. As the first half of the 2013 MLB season nears an end, let’s look back at what went right and what went wrong for the Tampa Bay Rays after almost three months of baseball. It’s been a frustrating first half for the Rays for multiple reasons, but at 42-39, they’re still very much in competition. Here are the main winners and losers from the first half of the Rays’ season. The Rays’ offense has been amongst the best in all of baseball this season. Tampa Bay ranks fourth in the MLB in wRC+ (Weighted Runs Created Plus) at 109 and ninth in the league in runs (375). The lineup, which has managed to stay healthy, has really clicked for Joe Maddon’s club. 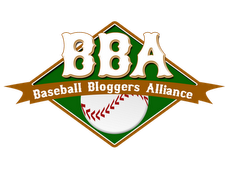 Evan Longoria (.388 wOBA and 47 RBI) has swung the bat very well, along with Matt Joyce (.348 wOBA) and James Loney (.361 wOBA). Ben Zobrist, Kelly Johnson and Desmond Jennings have also been key contributors. With Wil Myers now in the meat of this impressive lineup, Tampa’s offensive could be even more dangerous in the second half. It’s been a lousy 2013 for David Price coming off a Cy Young award-winning season last year. The Rays’ ace posted a 1-4 record with a 5.24 ERA and 4.03 FIP (Fielding Independent Pitching) through nine starts before hitting the DL with a tricep strain last month. Not only have Price’s early-season struggles and injury hurt the Rays, but they haven’t helped out his future trade value much either. On a more positive note, though, he is set to join the rotation this Tuesday. If one thing’s for sure, the Rays are going to need Price back to to form in the second half if they want to compete in October. James Loney has enjoyed a nice comeback year with the Rays so far after disappointing 2012 season. Loney’s put up an impressive .314/.367/.474 line with 40 RBI and a 134 wRC+. He’s been very productive defensively as well, posting a 2.9 UZR (Ultimate Zone Rating). The Jeff Niemann story is a very unfortunate one. It seems like every time the “Tall Texan” is about to break out into stardom, a big injury ruins his season. The 30-year-old right-hander won’t throw a single pitch in 2013 due to a shoulder injury that required surgery. Niemann already lost his spot in the rotation in spring training to veteran Roberto Hernandez, so his future as a starter in Tampa Bay isn’t a very bright one, especially now with the emergence of Chris Archer, Alex Colome and Alex Torres. It’s been a good season for the Rays’ talented young crop of prospect pitchers. Chris Archer, Alex Colome and Alex Torres have all received some big league playing time this year thanks to injuries. Archer, who proved he was Major League ready in 2012, has once again flashed his high potential this season. He owns a 4.40 ERA through six starts. Colome has been solid in his big league debut this season, allowing just four earned runs in his first three starts with the Rays. He’s pitched 16 innings, striking out 12 batters but also walking nine. Archer and Colome sure have been exciting, but neither have made as big of a splash as Torres. The 25-year-old southpaw has been ridiculously good out of the bullpen, allowing just one run in 23 innings while striking out 31 and walking seven. If Torres can continue to pitch lights out, he’ll find himself in a bigger role on the team. Tampa Bay’s bullpen has been a huge disappointment this year, blowing countless leads late in games after being nearly flawless last season. Rays relievers have posted a 3.79 ERA, which ranks 17th in the league. Fernando Rodney has regressed significantly as well in 2012, blowing already five saves in 21 opportunities. However, Rodney—like the rest of the Rays’ bullpen—appears to be turning things around now as the ‘pen seems to be going into the second half on a high note. After Monday night’s 14-inning disaster, the Rays needed to bounce back with a victory against the first-place Boston Red Sox. They did just that, lighting up Jon Lester for seven runs over just 4.2 innings as Tampa’s bats stayed red hot. Roberto Hernandez was on the mound for the Rays with a crucial task given to him in this game. The Rays were counting on Hernandez to pitch deep into the ballgame as their bullpen was totally worn out after Monday night. The veteran sinkerballer delivered a strong start, pitching into the eighth inning (122 pitches, 77 strikes) and posting this solid line: 7 IP, 7 H, 3 ER, 2 BB, 7 K.
Down 1-0 in the bottom of the first, James Loney would draw a walk with the bases loaded to make it 1-1. Then in the second, Desmond Jennings began what would be a big night for him with a solo blast to left-center. RBI singles from Ryan Roberts and Jose Molina gave the Rays a 4-3 lead in the third. Evan Longoria’s solo dinger then made it 5-3 in the fourth. In the fifth, Tampa Bay blew the game open with a pair of longballs. Matt Joyce blasted a two-run shot to the back rows of right field and Desmond Jennings proceeded with a his second solo homer of the night. Jennings went 3-5 in his return to the leadoff spot. The Rays improve to 35-29 and are now four games behind Boston, 1.5 games behind Baltimore, and two games behind New York. Coming off an excellent outing in his last start, Chris Archer (1-1, 4.91 ERA) will square off against right-hander Alfredo Aceves (2-1, 6.57) in the rubber match of this three-game set tonight; first pitch 7:10 ET. The Rays placed Alex Cobb on the bereavement list (death in family) and recalled Jake Odorizzi. Cobb will be out for at least three games, but is expected to make his next start, which means that Odorizzi will likely be used in the ‘pen. Kyle Farnsworth wasn’t placed on the DL after leaving Monday night’s game with elbow discomfort. David Price update: It looks like Price could be back earlier than expected, as his timetable has been moved up to put him on schedule to return by late June. DRaysBay takes a look at options the Rays have in the Wil Myers situation. Red Sox catcher David Ross made one of the worst throws ever last night. In case you missed it, this is what happened last night in LA in the Diamondbacks-Dodgers game.